The Exo Terra Turtle Bank is a unique floating basking area for aquatic turtles. Attached magnets allow the bank to be positioned in the corner of the terrarium to maximize swimming area. Auto adjusting to all water levels, the submerged ramp allows turtles easy access to a dry basking area for maximum exposure to heat and UVB lamps. 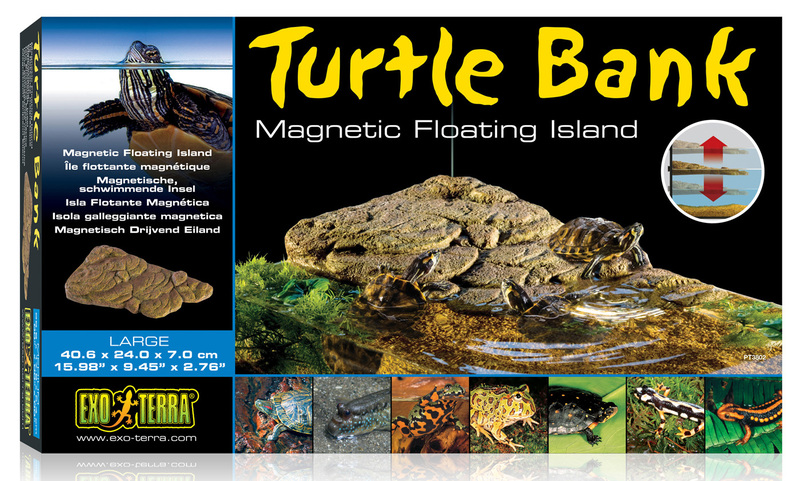 There are currently no questions for Exo Terra Floating Magnetic Turtle Bank - be the first to ask one!